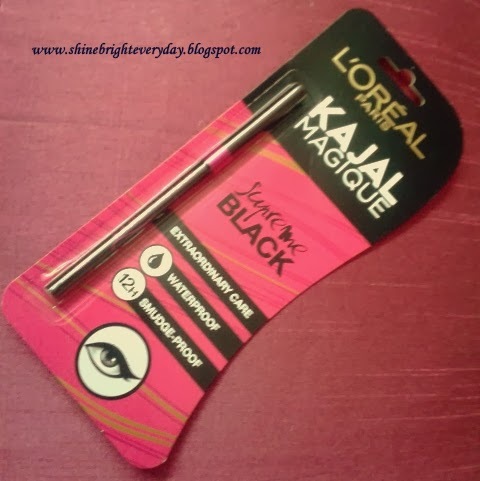 Here i am going to review New L'oreal Paris kajal magique kohl. Read On for the full Review. Ingredients: Enriched with Vitamin E, Cocoa Butter, Olive oil Esters and Vitamin C derivative. That's all is mentioned. 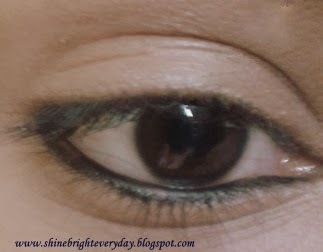 What it claims: Gives extraordinary care to eyes, can be used as kajal and eyeliner both, 12 hr smudge proof. 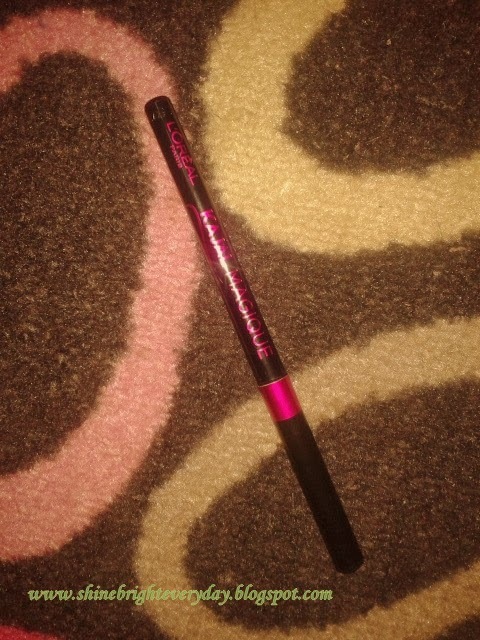 It comes in a retractable packaging just like Lakme Iconic kajal. I like these type of packaging as it prevents the product from wastage. Texture is smooth and creamy but not buttery. 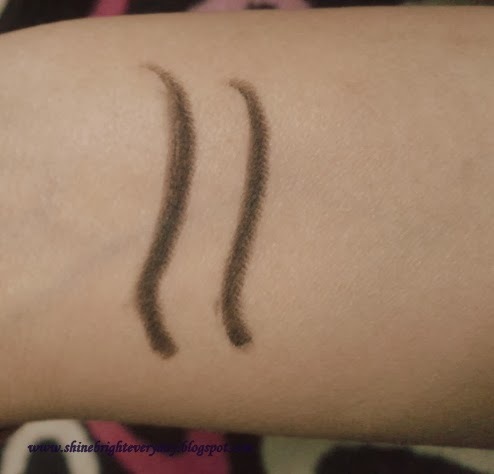 Pigmentation is good and color payoff is great on waterline. 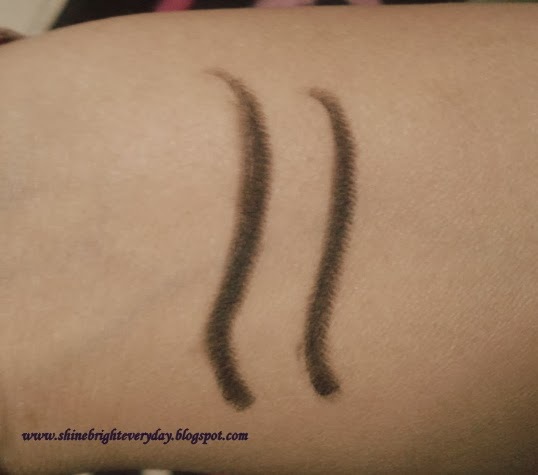 I wore it on my waterline and it stayed for a good 6 hour after then it started fading off. 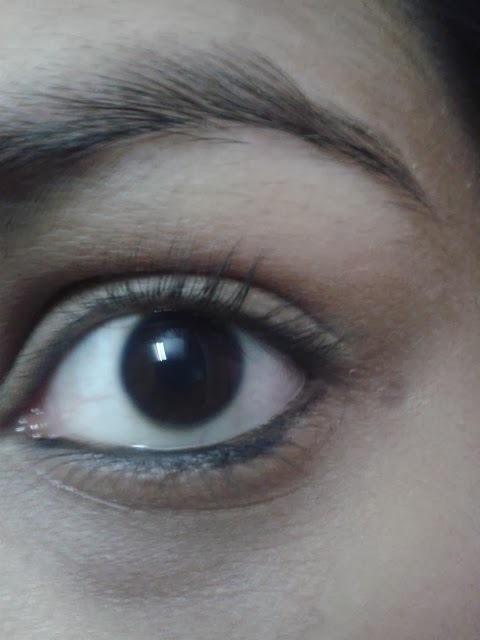 I haven't tried it on my lower lid but i can say that it'll stay there for pretty more longer. 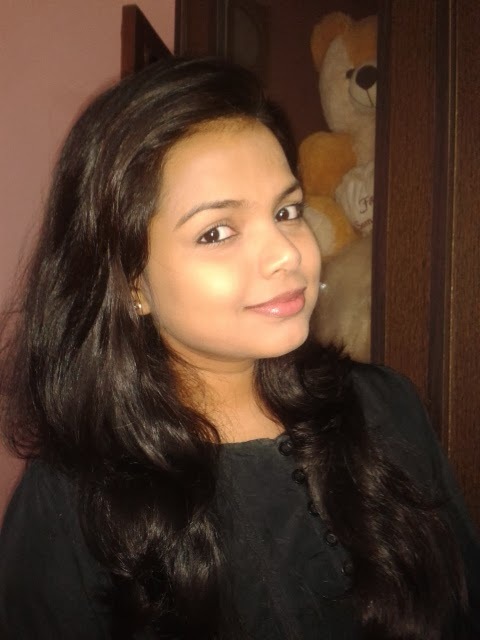 Although i cant agree that it stays as longer for 12 hr without smudge as it claims. But at the price of Rs. 245, i thinks the quality is good and i would recommend this to everyone. 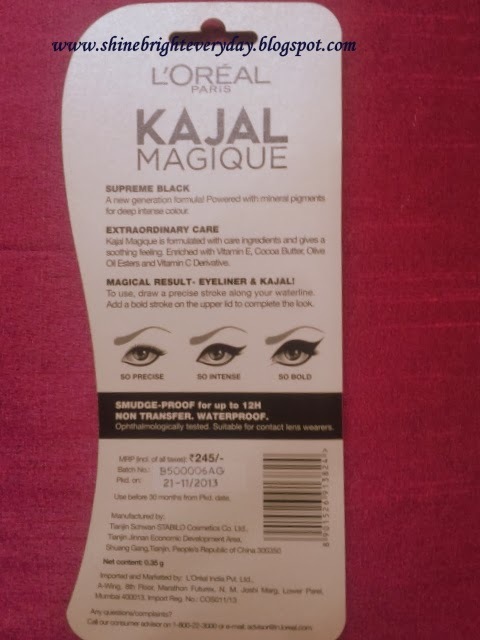 Kajal lovers will definitely love it. 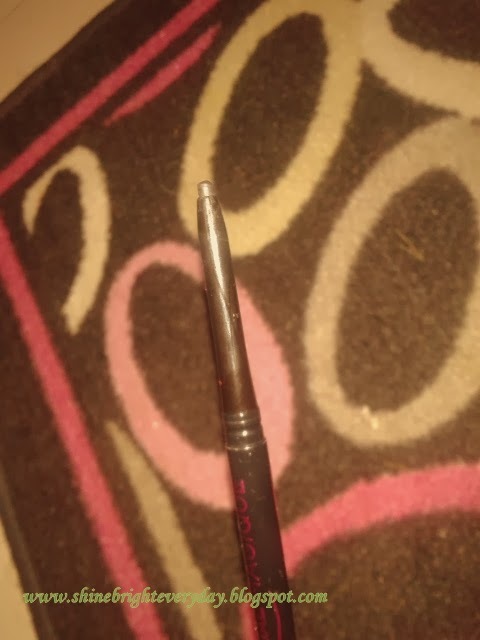 12hr smudge proof claim is TOO MUCH.! !